Timothy J. McGinty was elected to the office of Cuyahoga County Prosecutor in 2012. When elected, Mr. McGinty promised justice - achievable by running a justice system built on the foundations of fairness, efficiency, transparency, and accountability to victims, taxpayers, and those charged with crimes. Has he succeeded? 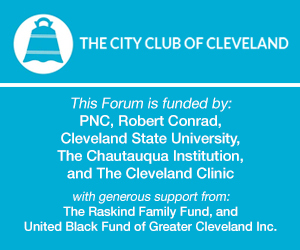 Join us in the first Friday Forum of 2015 as Prosecutor McGinty reviews his first two years in office and discusses plans for the future to ensure the safety of Cuyahoga County citizens.